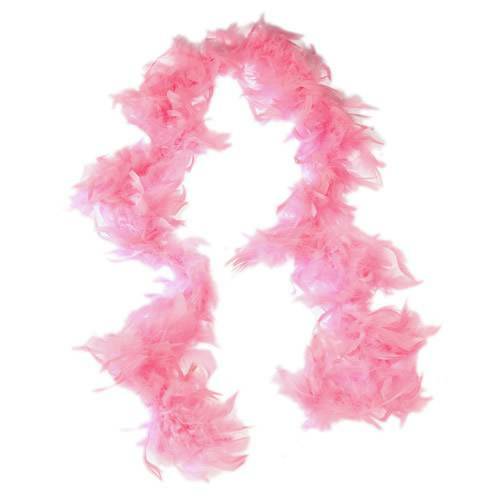 Add some color and elegance with this feather boa. Boas are a fun way to dress up your attire. Size 6' L. 60 grams. The pink color is perfect finishing touch to a princess costume or a fun accessory at a breast cancer awareness event. Give these away at your next fundraiser to show support and celebrate life.